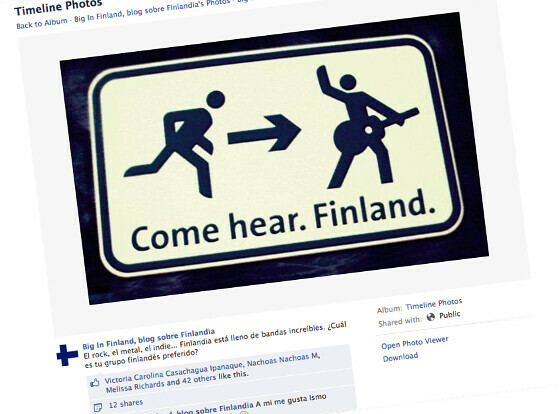 How can I make a post about the top 10 Finnish bands? It is a herculean task and it will be polemic: Such a list will bring controversy. In order to write something other than my own opinion, I asked for the opinion of Big in Finland’s friends on our Facebook page . In the comments of today’s post you can share your opinion too. Here we list the top 10 Finish bands that you said were the best. They are mostly Finnish rock bands and metal bands. No indie or pop bands made the cut. 1. Nightwish: the band you voted the most. With or without their old vocalist, Tarja Turunen, Nightwish is the most beloved Finnish rock band by the friends of Big in Finland on Facebook. This is their most heard song on their label’s official Soundcloud account. 2. Sonata Arctica tied in votes with Nightwish, so they are as much the number one as the previous band. This Finnish metal band has been together since 1995 and is known worldwide as well. This is their most played song on their label’s SoundCloud account. 3. 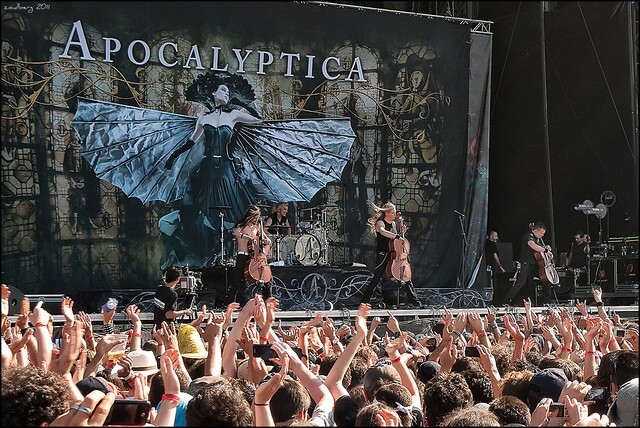 Apocalyptica: joining Finnish metal and cellos? The four members of Apocalyptica thought it was a great idea and started this musical adventure in 1992. They are classical music graduates from the Sibelius University of Helsinki. This is the most played Apocalyptica song on their official SoundCloud account. 4. Ensiferum play metal music with a folk twist. They are from the capital of Finland and they have been playing for 20 years, since 1995. They have five albums, and being number four in this list made by you means that their style really connects with people. 5. The Rasmus are, along with the number six of this list, one of the first Finnish bands that were recognized outside of Finland (or at least that was always my personal impression). Founded in 1994 and led by charismatic Lauri Ylönen, these Helsinkians have sold millions of records and broke thousands of hearts. Most likely, The Rasmus are one of the reasons why many people got to know – and got excited about – Finland. 6. HIM is another of the best known Finnish bands in the world. Like The Rasmus, they feature a lead singer that has captured the human blood pumps – a.k.a. hearts – of girls worldwide. His name, of course, is Ville Valo. Founded in 1991, HIM is a Finnish rock band that performs “gothic rock”, and has sold millions of records throughout the world too. Another Finnish bestseller. 7. Teräsbetoni is a heavy metal music band. Founded in 2002 – they are therefore one of the youngest bands in this list – their style is influenced by bands such as Manowar. The name of the band, translated from the Finnish language , means “reinforced concrete”. They published four albums so far. 8. 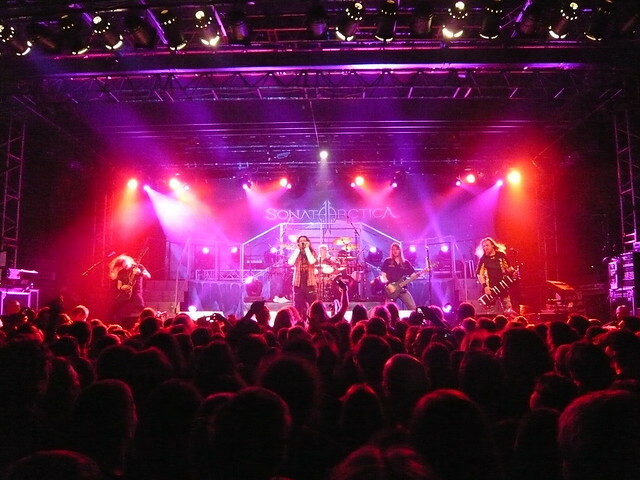 Finntroll, founded in 1997, has brought together different music styles, which makes them quite unique. They fusioned folk, black and death Metal (two metal music variations that are quite extreme), and the humppa, a kind of Finnish polka. 9. Stratovarius are perhaps the oldest band in the list: they’ve been around since 1984 (as I’ve been too). Their style combines elements of classical music with a kind of melodic power metal. In their long career – quite successful as proven by the number of votes they got from the friends of Big in Finland – they have released 17 studio albums, four live albums and four “best of” albums. 10. Children of Bodom: We close the list with a band that borrows its name from the murders that took place at the Bodom Lake, in the 1960s. From 1993 onwards, these guys from Espoo – a city neighboring Helsinki – have published 10 albums so far. We have to give a special mention to 69 Eyes, who tied in score with the previous three bands, but top 10 lists are like that: We have to choose. The bands that didn’t make it into the top 10 list of Finnish bands, but had more than one vote, were the following: Rubik band, Apulanta, Uniklubi, Korpiklaani, Ahola, the very popular and “Eurovisive” Lordi, Turisas and Northern Kings. There is a second (and perhaps more democratic) way to know the number of fans that the bands have. 1. 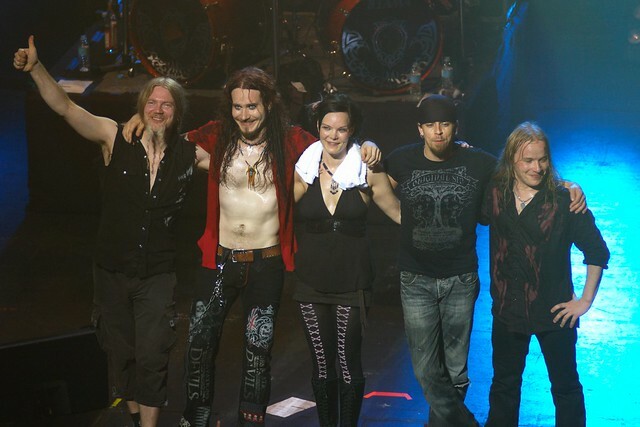 Nightwish, with 368.000 monthly searches, is also the number one Finnish band worldwide. Congratulations for their good job! 2. HIM, with 165.000 monthly searches. 3. Apocalyptica with 110.000 searches per month. As we can see, two out of the three best bands according to the readers of Big in Finland are also the most popular worldwide. 4. Tarja Turunen, ex-singer of Nightwish, rides along the band’s fame to boost her solo career and scores 90.500 searches per month. 5. Lordi, the monsters, average 74.000 searches/month. 6. Children of Bodom: 60.500. 7. Sonata Arctica: 60.500 searches. 9. The Rasmus: 49.500 searches. 10. Korpiklaani close the list with 33.100 searches/month. The data came in, and we reported it. Which list do you agree most with? What are your favorite Finnish bands? Tell us in the comments!